Graphic Designers, Web Designers, Marketing personnel, and any marketing material designers who need to sharpen their Adobe Photoshop skills for higher quality of work and better working efficiency. Register before 24 Mar 2019 for only RM1,299 per person. Register before 03 Jun 2019 for only RM1,299 per person. 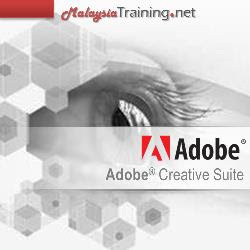 This 2-day Adobe Photoshop CS6 training dives deep into the Photoshop features and creative options. It shows the students a speedy and efficient way to perform many common editing tasks, including noise reduction, shadow and highlight detail recovery, retouching, and combining multiple images. Throughout the training session, the course also allows students to explore techniques for non-destructive editing and compositing using layers, blending modes, layer masks, and much more. Organize images, and use Adobe Bridge to increase workflow. Learn the basics of color control, learn how to correctly set up your editing environment to accurately output color. Learn the principles of image correction and master and build an understanding of which tools to use in any given situation to perform the perfect correction, from basic contrast to advanced levels and curves.